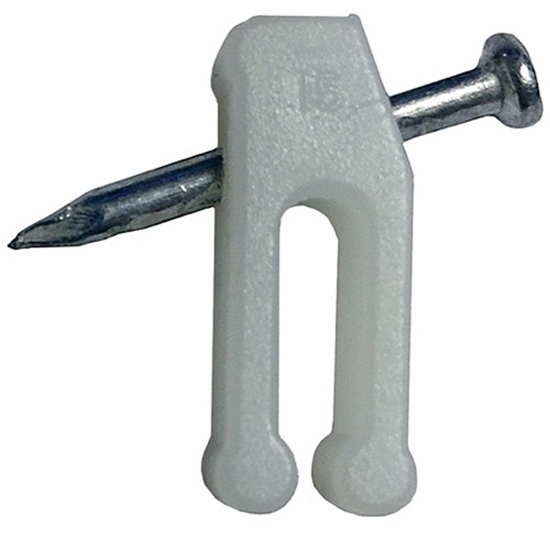 Plastic nail-in fasteners to secure telephone wire to walls or baseboards. Tools required: hammer, tape measure. Position phone wire in desired location. Place fastener over wire and firmly against mounting surface. Insert nail into hole in fastener and hammer until secure. Position second fastener and repeat to length of wire. For best results, space clips 12-18'' apart. Fasteners in this package will secure 20-30 feet of phone wire.